Social media and college almost go hand in hand. There are a few college courses that even use social media sites like Twitter and Facebook to start discussion pages and post content related to class. College age kids use social media a lot. Move-in day on your campus and there is an exciting buzz in the air. This is the day that you will move in to a tiny room with your roommate you don't know. Your first roommate experience can have a lot to do with how your first few months in college will be like. Here are a few tips on how to make your roommate experience as good as possible. The fact of the matter is that both of you probably would not want to be living in that small of an area with someone they don't know. It's good to establish some ground rules right away. For example, try to keep all of your stuff on your side of the room because the last thing that your roommate wants to see is your dirty clothes oh his side of the room. Sleep is very valuable in college. If you have an 8 am lecture class every morning and he doesn't have to wake up until 10:00, BE QUIET. Once your alarm goes off, turn it off quickly and try to get ready as quietly as possible and let him sleep. This simple gesture will allow you and your roommate to have a better relationship right off the bat. Like I've said before, you are going to live in a very small dorm room together for awhile so it's important to practice good hygiene. Wear deodorant and shower are two things that seem like common sense, but a lot of people do not do it. Wash your Twin XL Bedding and your clothes frequently. If you follow all of these steps, your roommate experience will be at least tolerable. The name of the game will be respect. Even if the two of you don't really like each others personalities, then you will at least have to respect each other. TwinXL.com announces the debut of their new line of Microplush Super Soft Blankets. 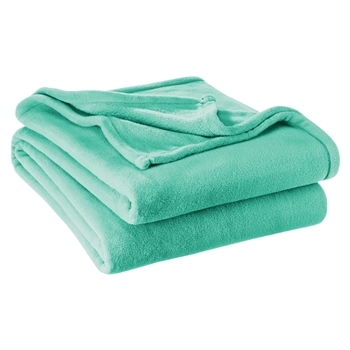 The micro plush blankets are Twin XL (extra-long) sized which make them perfect for college dorm rooms. “The Micro plush blanket is perfect for the college student that is looking for a little added warmth and comfort in their otherwise lifeless dorm room. The micro plush blankets come in a variety of colors that include; Pepper Red, Grey, Oyster, Dark Blue, Turquoise, Leopard, Emerald, and Plum. The blankets are generously sized at 92” x 62”, which is a great size to drape over a chair or sofa or at the end of the dorm bed. The microplush super soft blanket can also be found at a low price, $23.99 , without sacrificing quality. Take a peek at the product below and on our website and see what you think!